MOABELO Nzimande is like the tyres he works with. 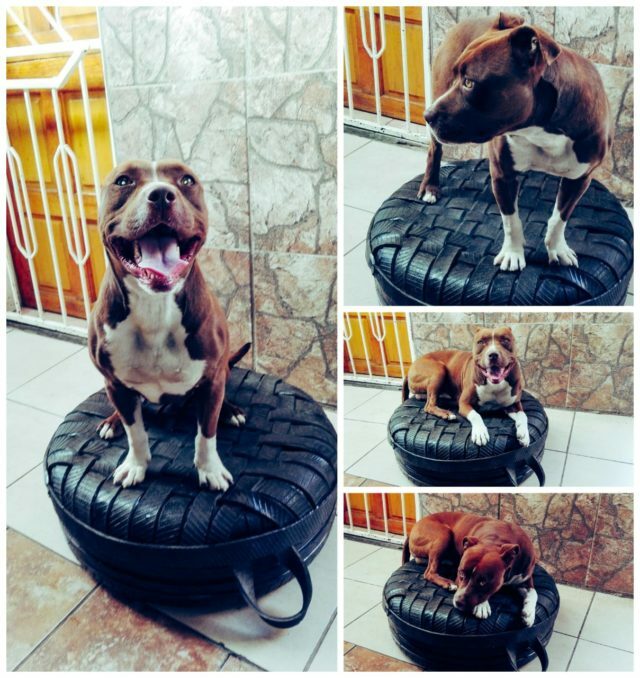 He understands that with a bad attitude, he could never get anywhere just as a flat tyre wouldn’t take you far. 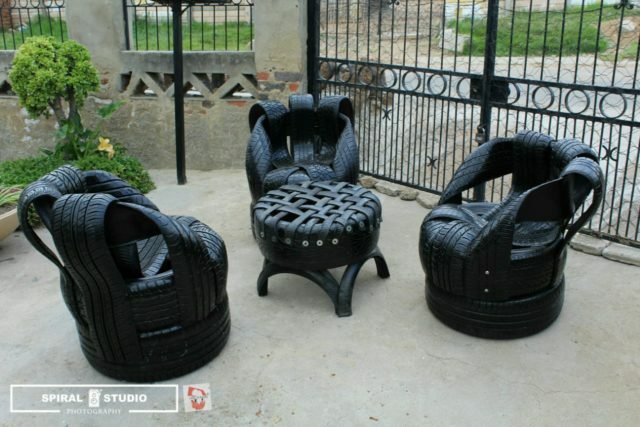 He’s the founder of manufacturing company, African Make which specialises in manufacturing furniture, solely using tyres. Sitting in a container big enough to house a fast food outlet, I chat with the energetic young man in his yard, in Tembisa. 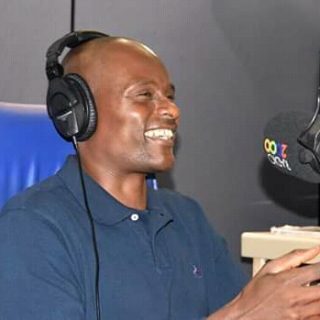 During his days at Vaal University, as a way of making money he would hire out hookahs at events, while simultaneously doing events management for campus gigs. 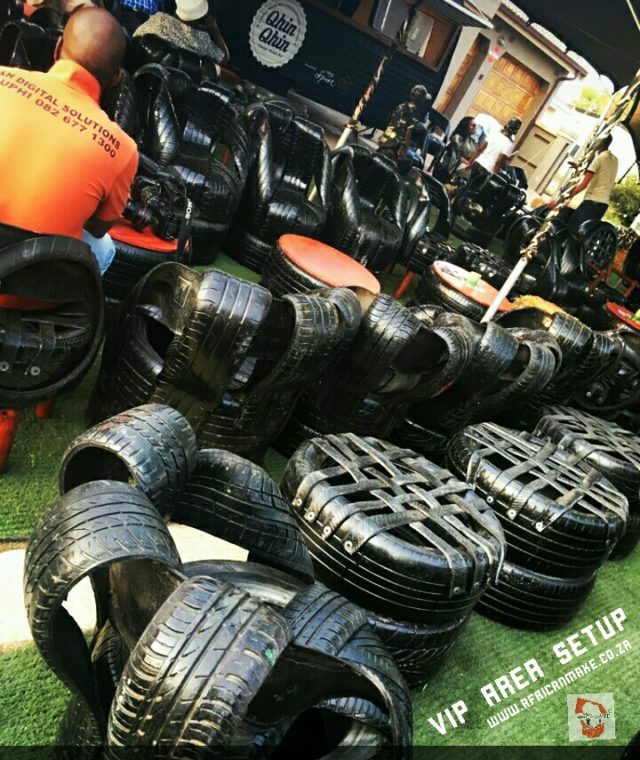 When he couldn’t afford to hire a table and chair for his hookahs set-up, he turned to his creativity, creating his own using tyres. 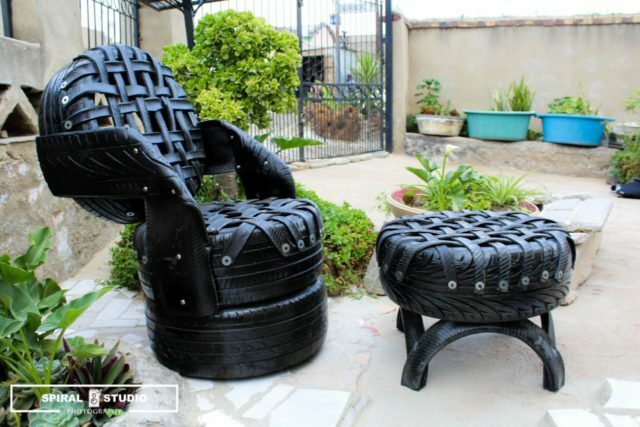 “I did research on how I could create my own furniture, I saw people using [gasoline] drums and other various material on the internet. Then I came across a simple design where they used tyres and a rope,” Nzimande says. Seeing that, he bought himself working equipment-mind you, he had never worked with his hands to create anything. “I did my first design I had seen on the internet. The chair came out okay, compared to what I’m doing now. I was so proud, I had an urge to do better” he says. After graduation in 2014 he joined an IT company as an intern. “During that time while doing training, you have a lot of free time, sometimes you go to work you’re doing nothing. 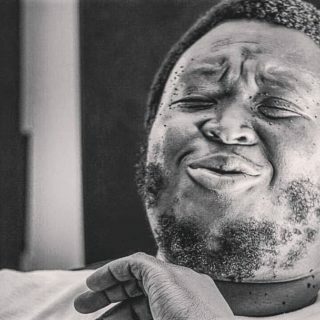 That’s when I started doing research on how to register a company and I started reading books, and attending entrepreneurial seminars” says the lanky Nzimande. He formally registered his company and created his website. He’d leave work late, sometimes sleeping there to print flyers when there was no one around. He was in super saiyan mode now, jotting down ideas of potential clients on his notebook en route to work and people would hire them for a day or two. Which brought in the some money and the needed confidence. As they always say, you never know who’s watching so do your best. Lo behold, someone from First National Bank picked one of the flyers at the summit. 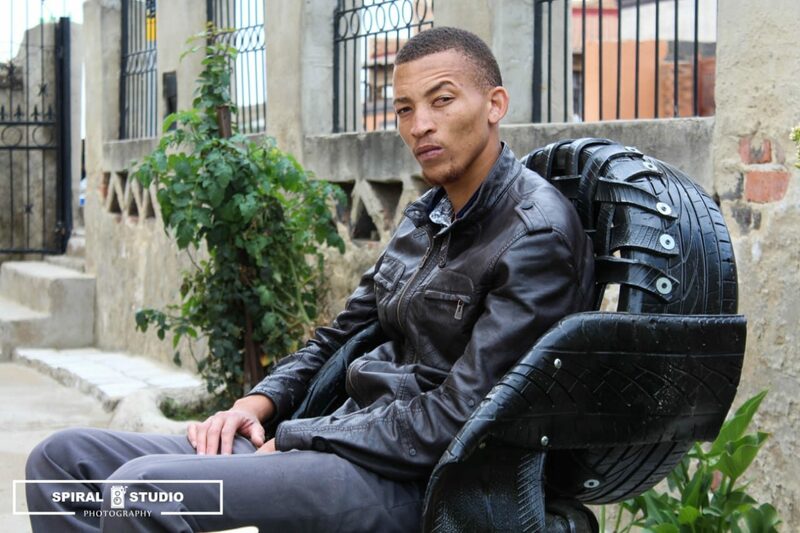 “Next thing I got a call from FNB, they wanted to buy two double-seater for their rooftop. 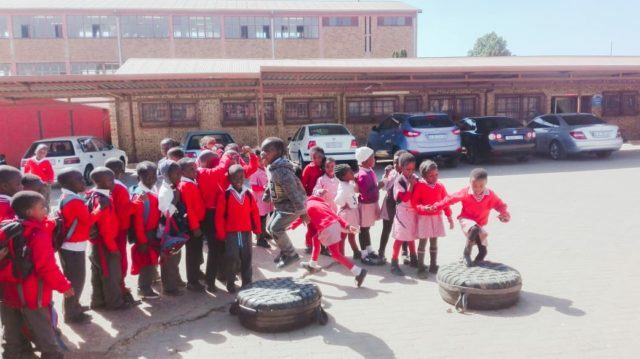 That’s when I roped in some of the guys from the hood, who painted Ndebele patterns on the tyres. They loved them,” Nzimande says. Six months later the bank came knocking at his door again, this time they wanted more chairs for their event but asked Nzimande to donate them since they had already built some rapport with the first deal. They needed the 25 chairs and some tables for the weekend and were supposed to bring them back that Monday but whoever that was supposed to deliver them back got sick on the day. 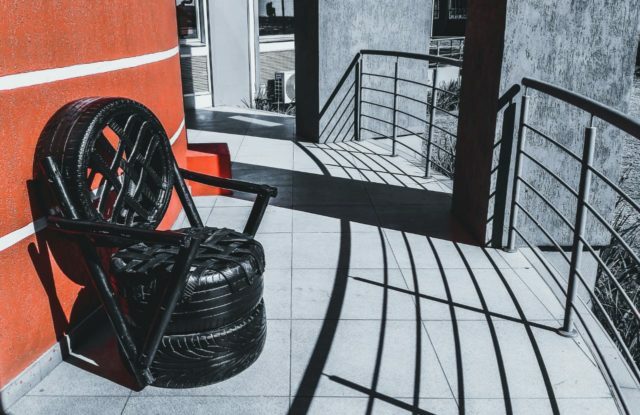 “So the chairs were chilling there at bank city in Joburg. The employees sat on them during lunch and they were enjoying them. Management was like, ‘everyone’s liking these chairs, can’t we buy them?’ from just giving them for free, I sent them a quote of about 18K and they were like, ‘okay’ ” with his raspy voice, he says in laughter.